How long have you been watching K-Drama? How many K-Drama have you watched? I myself, have been watching K-drama since 2002 (Autumn Tale) although i stop a few years after because i found it a bit dull because i often fell asleep in between episodes. Probably because the language, korean language sounded like a lullaby to me sometimes ( until the Ahjumma yell!) , i supposed. More often it's because the story plot and the acting of the casts are terrible. The story of a Chaebol who are unbelievably good-looking and self-righteous rich boys falling in love with an ordinary (sometimes noisy) unpretty girl is a common plot for many of Kdrama. From Boys Over Flower Flower Boy Ramyun Shop, The Heirs,Fated To Love You to Lovely Girl and many..... more. I can't count them all (and i don't watch them all). They said because the story line like that can give the viewers hope ( yeahh right!!!). And that's not enough. K-drama also has a plot hate-love relationship such as You're All Surrounded, I Need Romance, Marriage Not Dating, You Who Came From The Star and you probably can mention some more. Even with the action and saeguk genre, there's always a love line story that start with i-don't-like-you -but-i-see-you-everyday-so-i-think-i'm-falling-in-love-with-you* in the end. Not to mention the second lead male who came along and make the love line triangle .To make it even worse, the ending sometimes is very cheesy just to make everyone happy (except for the second lead male) that i want to scratching the refrigerator. Ahhh.. I'm so tired of these kind of typical Kdrama.. I wish i can watch something else. Before Misaeng came along, I wondered if I would even have a favorite drama of 2014.At first i thought it was just like any k-drama that have been played over the years. The story is about Jang Geu Rae, a 26-year old guy who failed as badeuk (Go) player. He gets an incredible chance to become an intern for a big corporation with a help of some CEO. But the premise i read doesn't match with a picture i saw of Kang Sora sit by the coffee shop. The thought that crossed my mind was,"Ahh.. so this is the leading actress who will be the centre of the triangle love story". And so there i was, postponed to watch Misaeng for about two weeks just because i thought it's just another triangle love story. 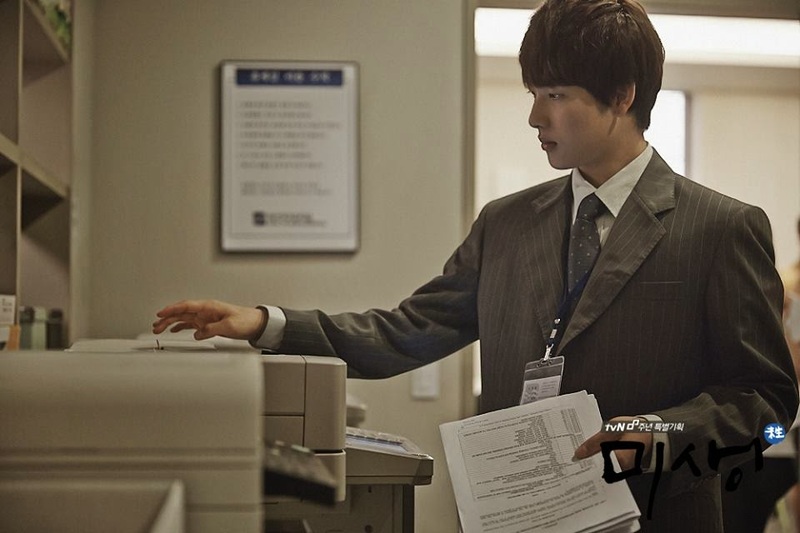 “MISAENG” FIRST IMPRESSIONS: IT’S SURPRISINGLY IMPRESSIVE! .. Roads are open to everyone, but not everyone can have the roads. and i was like, "What is this? Is this some kind action movie? I thought i played Misaeng, the simple K-drama with comedy about office workers. And who is that fine-good-looking-young-man with confident stare in nice suit? Is he single?" Jang Geu Rae - 2014, does he look like Tom Cruise ? Ok, the last question is not related to this review. That intro sets the stage for the rest of the story which taking us back to the 2012. He's the main character of the Misaeng. At first i see Jang Geu Rae character is a person who looks resigned to relinquish his dream of becoming a professional Baduk player. Actually he's not desperate. Jang Geu Rae is not lazy, he's not that stupid, he's just happen to be out of luck. His father died when he was in high school and he became the head of the family since then. 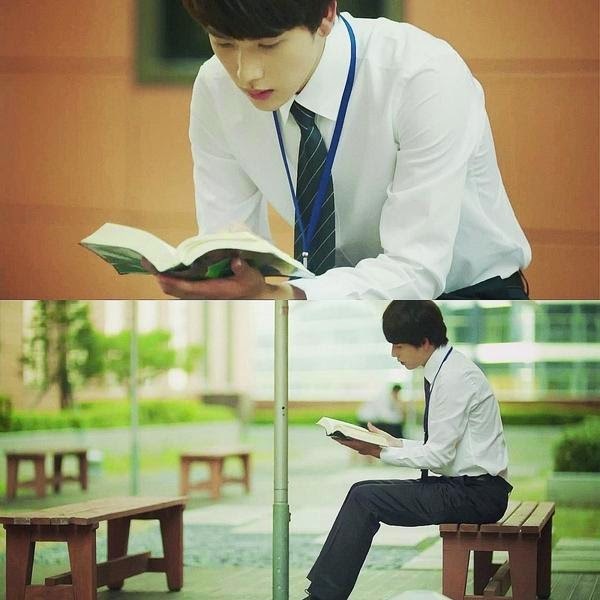 He works day and night while learning Baduk but he must give up his dream and drop high school. He was employed by the small firm after quitting Baduk, but his reputation as a former Baduk player worked against him. Hence the reason why he decided to hide his Baduk playing past. Then one day, Jang Geu Rae was sponsored into the One International by the president of a small firm (where he used to work). That president is acquainted with the Executive Director Choi who will set him on Team Sales 3. Unlike other interns contending for full-time positions, Jang Geu Rae only has GED (equivalency exam of high school) on his resume, no impressive work experience and no ability to speak foreign languages. He doesn't even know how to use copy machine. But thanks to his hard efforts and unmatched perseverance he acquired from playing baduk for more than 20 years, he lands a job as a two-year contract worker. Jang Geu Rae who used to consider “Baduk” (“Go” game) as a purpose of his life tries to forget about Baduk. But, in the end, what gives him the key to solving the problems in front of him was, paradoxically, insights that he learned from playing Baduk. 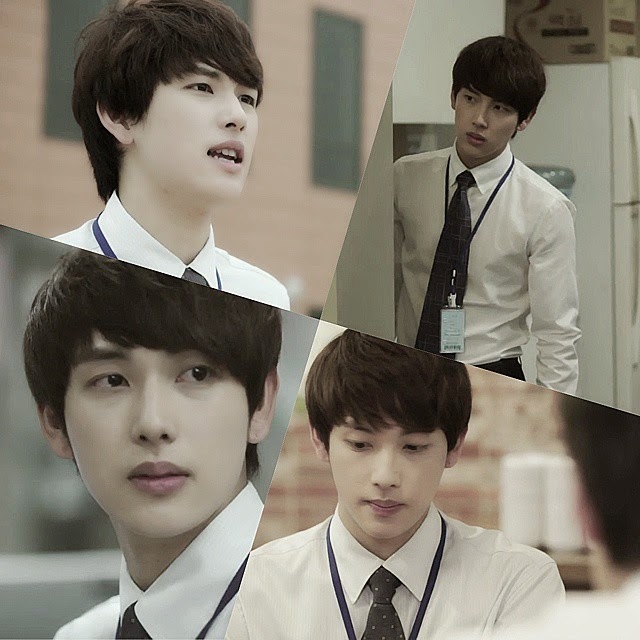 Jang Geu Rae played by Im Siwan is actually an idol-turned-actor. He is a member of not-so-popular-kboyband ZE:A who is more well-known for his acting projects than his idol activities. He’s perhaps one of the few idols who actually give idol-actors a good reputation, inviting praise and compliments instead of the typical hate comments. For this role, i must said that Im Siwan was super convincing as Jang Geu Rae, and I did not, even for a moment, think that this role will play better if it's play by somebody else. Even when he isn't saying or doing anything, Im Siwan was able to capture the allure of Geu Rae so well. I want a newbie with the face like him in my Office.. According to the interview with the Director of Misaeng, it's hard to cast an actor for Jang Geu Rae. They had a thought that they wanted a top class actor for the role of Jang Geu Rae. There are a lot of actors' name mentioned, include Lee Je Hoon. Every single actor who's been offered, including Im Siwan, rejected it. Later on, Im Siwan personally said that he wanted to take the role. 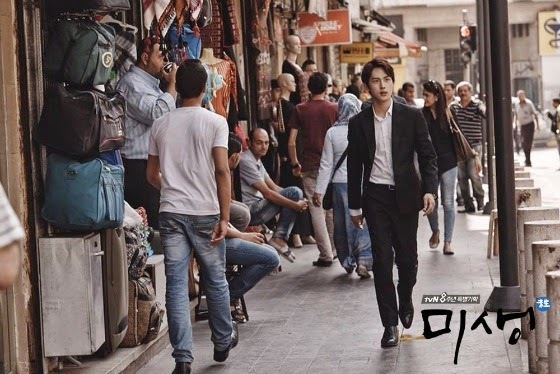 Im Siwan said it was his agency that rejected the role first, but since he played the prequel of Misaeng as Jang Geu Rae a year before, he knew at that moment that he should take this role no matter what. There's a similarity between Jang Geu Rae and himself, he said. If Jang Geu Rae seems hard to fit in his office work, he did feel the same way when he started to join entertainment world. Whatever it means i think the role is belongs to Im Siwan. Of course, his character would not have been half as good if not for veteran Lee Sung Min who played Oh Sang Sik, Jang Geu Rae's superior. Jang Geu Rae's superior and section chief in the sales team 3, is a dedicated workaholic, flawed but very capable and deserving leader of the division. His callowness with workplace politics makes him an outcast and limits his promotion. At first he doesn't like Jang Geu Rae because he doesn't have skill and he join the company by connection. To make it even worse, he heard that the person who get Jang Geu Rae to the company is none other than the Executive Director Choi. Oh Sang Sik has a bad history with Executive Director Choi in the past and that makes him thinks that Executive Director Choi deliberately put Jang Geu Rae in his team, for a reason. As time goes by Jang Geu Rae shows him his hard work and smart thought, slowly Oh Sang Sik open up his heart to him. He may whine all day long about not having Young Yi as his intern, but in his heart he's cheering for Geu Rae and proud of him. He knows by heart that Jang Geu Rae has potential only he doesn't have college degree to make it to permanent place. He really wants to help Geu Rae but in the same time he afraid he just gives Geu Rae an empty hope and make the same mistake like couple years ago with another intern. Ironically opportunity comes from executive director choi. Oh chajangnim knew there was a purpose behind this opportunity. If he picked it, it can make sure the future of his subordinates but on the other hand if they failed, it can also destroy them. Which one would he choose? Oh Sang Sik a.k.a Oh chajangnim role played by Lee Sung Min. He's the first actor who accept the role and i give him four thumbs up for his acting. A true genius as Manager Oh, a man who is every inch a symbol of honor and righteousness. Lee Sung Min has played many roles in drama, movies and theatre projects. 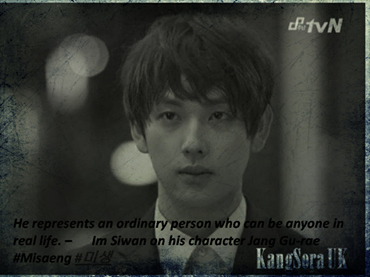 His acting skill helps Im Siwan to play Jang Geu Rae and make a good chemistry between them. The layered and poignant Oh Sang Sik, the stubborn and lovable family man Oh Sang Sik, the anguish of his face, the broken voice of a broken heart of a leader who can't make his sub-ordinate's dream come true. That Oh Sang Sik Lee Sung Min has brought to us. Ahjussi... You did a great job!! He is the assistant manager of the sales team 3 who already working with the Oh chajang long ago. He's comfortable working with the Oh chajang although many say Oh chajang is the leader who could not lift his subordinates career. But for him Oh chajang is a good leader and honor him. The arrival of Jang Geu Rae into the team initially made him a bit hard because Jang Geu Rae does not have any work experience and skill that has to do with the world of trading. Intentions and efforts of Jang Geu Rae to adapt and become part of the team makes Dong Sik thought about Jang Geu Rae differently. Dong Sik wants to get to know Geu Rae better to understand him. And when he actually does, he considers Jang Geu Rae as not only subordinate but also part of the team. Kim Dae Myung who cast for Kim Dong Shik role is an actor who's been working on several films. Misaeng is his first K-drama, so do not feel left out if you just knew him in Misaeng. Me, too! They enter One International as an intern earlier than Jang Geu Rae. In contrast to Jang Geu Rae, three of them are the best college graduates with skills. The only female of the Intern. She is a flawless but problematic amateur. She's a bold character who is up to task for anything. Even though she's a rookie, her alertness at dealing with work makes other fellow male colleagues envious of her. She's also undebatable. At first initially he considers Geu Rae could not anything. Then he saw the fortitude of Geu Rae who can accept all the bullying from the other intern. Young Yi changed his mind about Geu Rae because he was not discouraged of any of that. When she finally sets on another team, she found the hard moments because her new team is not welcome enough to female employee. Little by little Ahn Young Yi understand how Geu Rae feels at the beginning of their internship. Ahn Young Yi played by Kang So Ra best known for her roles in the top films "Sunny" (2011). She has played several K-drama including Dream High 2 and Doctor Strangers. I adore Kang Sora‘s portrayal of Young Yi who smart, talented and skillful employee. She is good at foreign languages, at least the pronunciation and the intonation are good. I didn't expect her that good. Well my mistake, Misaeng is beyond my K-Drama expectation too, by the way..
Jang Baek Ki is a three-dimensional character, the image of the elite office worker. I see him as a very stiff character, very serious, and enjoys regularity. Jang Baek Gi is also a very ambitious person at work. So when all his efforts are less considered by his Assistant Manager, he felt useless and intend to change job. He thinks he should be rewarded with qualifications and skills that he has. Unfortunately to Baek Gi, Jang Geu Rae's work is more recognized than his. Baek Gi secretly envied Geu Rae, not only because of his cold assistant manager like Geu Rae more but he was also jealous because Geu Rae has team who is so care to him. Jang Baek Gi played by Kang Ha Neul. He began his career in musical theatre and later shifted to screen, starring in several K dramas and couple of films. Misaeng is the first time i watch him on -screen although he's starred in To The Beautiful You, Monstar, Two Weeks, The Heirs and Angel Eyes ( Well, i don't watch those Kdramas). So i can't rely rate his acting skill but i think he's good of portrayed a three-dimensional character like Jang Baek Gi. What do you think? Jang Baek Ki in the real life loves to take Wefie.. He's a guy who as opposed to Geu Rae who doesn't have the qualifications, Young Yi who has the qualifications but has the unfortunate being born as female, or Baek Ki who only thinks he has the qualifications. 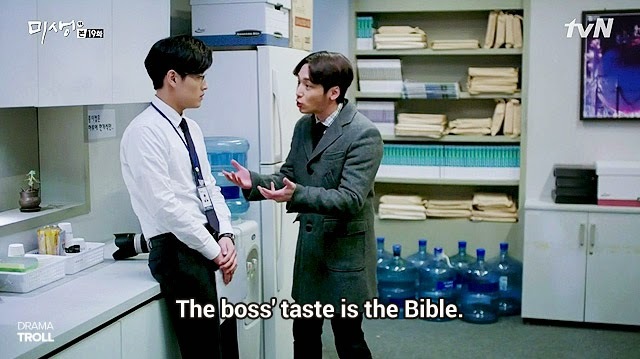 Han Suk Yool to me is a fun employee who is a little too flattering to the higher-ups and a little too careless in about the boundaries of others. He is always be in the right time and the right place to find out the latest and hottest news in the office. He's like ( NO, HE IS!) the resident gossip and the center-part of spreading the news. That's why he is a little too involved in the business of others. He's kinda annoying, don't you think? 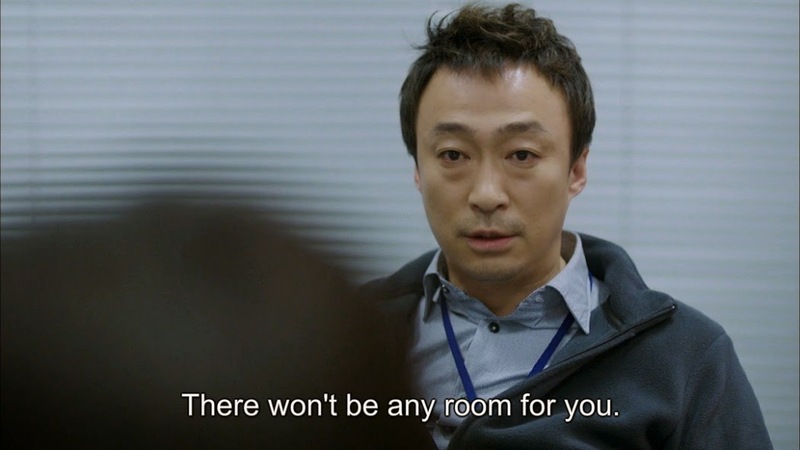 Han Suk Yool’s guide to a successful office life. Behind his jokes and his cheap laugh, he has his own struggles. Although he looks and acts relatively carefree compared to the rest of the newbies, he actually is quite serious about the work that he does and pretty good at it. He also doesn't afraid to front his assistant manager head to head when it comes to he’s being taken advantage of. Through his struggle he learns his own lesson and overcome his own obstacle with a sense of confidence that none of the other newbies have. The cheerful Han Suk Yool is a true match for the stolid Jang Geu Rae. And that's what i like about him, even his hair style. 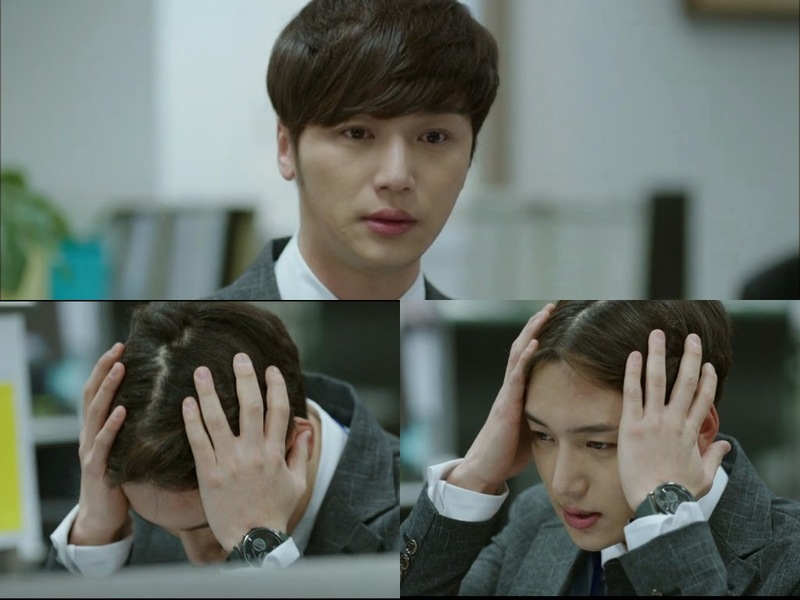 Han Suk Yool played by Byun Yo Han. I don't know his work until i watch him in Misaeng. This is actually his first drama after couple of indie films he has starred. Although he's kind of newbie in k-dramaland but he's quite steal the show. If it wasn't for how thoughtfully and expressively Han Suk Yool by Byun Yo Han, this character wouldn't be seem so alive. I love all the little touches he gives to Suk Yool character. 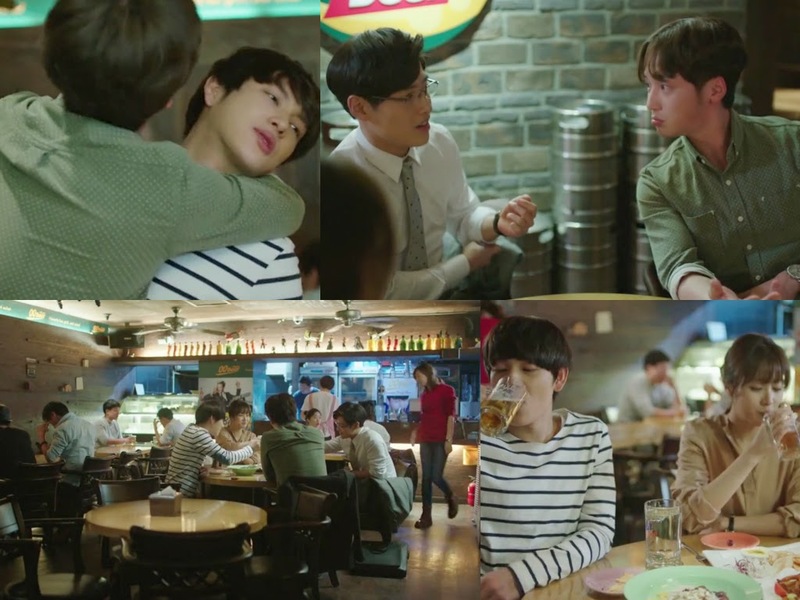 How he annoyed Jang Geu Rae with the way he constantly try to be closer to Geu Rae, The raving maniac that he is, a supportive colleague and physical comedian at the same time. Byun Yo Han makes the "dog" Han Suk Yool to be likeable and give his part a great depth to me the viewers. Don't Mind Me, I Just Happen to Pass By... Just Keep On Reading. Watching Misaeng is like watch the truth of any worker's life. It's a bunch of pieces of the awkwardness, the hardest moment, the happy feeling when you done your job, grumpy bosses, the difficulties that women go through in the office due to marriage, childbirth, and sexual discrimination and harassment and how to dream can be reach in one way or another. Above of all Misaeng gives hope that relationships in office are not always simply work-related as “work friends”, it can be bond together. To me that's the love line in Misaeng.. I thought you said Misaeng is a K-Drama without Romance? Some of you probably ask. There isn't that kind of romance you normally watch in other k-drama but to say that it doesn't have love line, i must say it's not true. 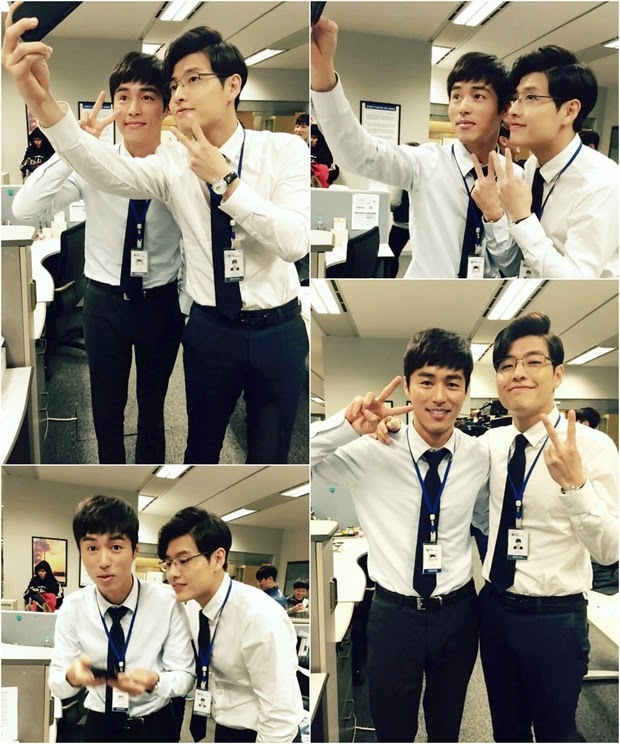 Misaeng is all about relationships and the bound of these character have for each other and for their work. The relationship between Jang Geu Rae and Oh chajangnim, the hug and the support between those "Fantastic Four" newbies, the empty feeling Dong Shik felt after the departure of his original Sales Team 3 member and resign just to joining them again (oh, oops.. am i giving you the spoiler?). Jang Geu Rae could lost his father and always feel he walk alone, in the end he found the figure of 'the father, the hyung, the brother and sister' what he could say ' a new family'. And it started on the day he lost his father. (OMO..... did i give you another spoiler? oops... Sorry!!) Anyway, i think the relationships in “Misaeng” are so varied and yet all incredibly intimate. I can keep writing and talking and writing and talking about Misaeng over and over for days, but i won't do that. 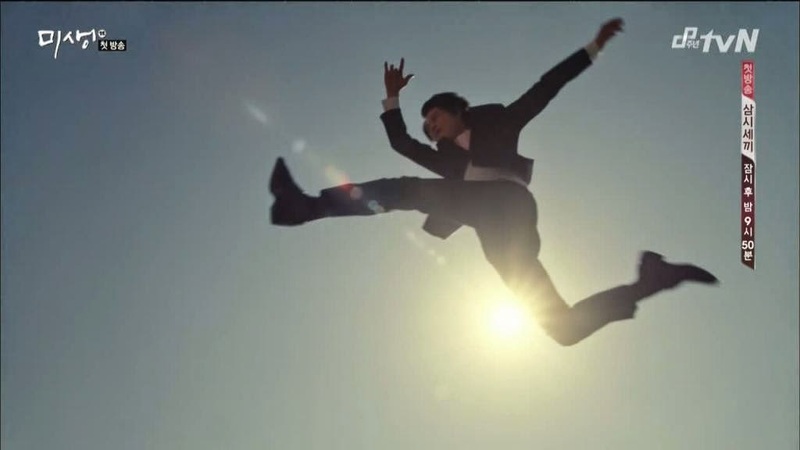 At least i will writing about Misaeng in different posting later ( Yeah, I will!). For the conclusion i must say that if you haven't watch this drama, go watch it!! It's a drama that you rarely seen in K-drama world. You don’t have to stop and think about motivations behind the character, about how certain events complicate others, about how to put it all together. It's just well-written, well-directed and well prepared in details. The ending itself is sooooooooo........ reasonable. As in life, everything happens for a reason and that's how nicely the story wrapped without being forced. I love writers-nim for written adaptation of web-toon story in to not so ordinary scenario. And i must thank the director for giving a surprise at the credit title of finale episode. I'll end this long review with one of Misaeng OST ( did i tell you, it has a great OST??) that i made a fanmade MV for it. I'll write about Misaeng more because I'm so not over it yet. 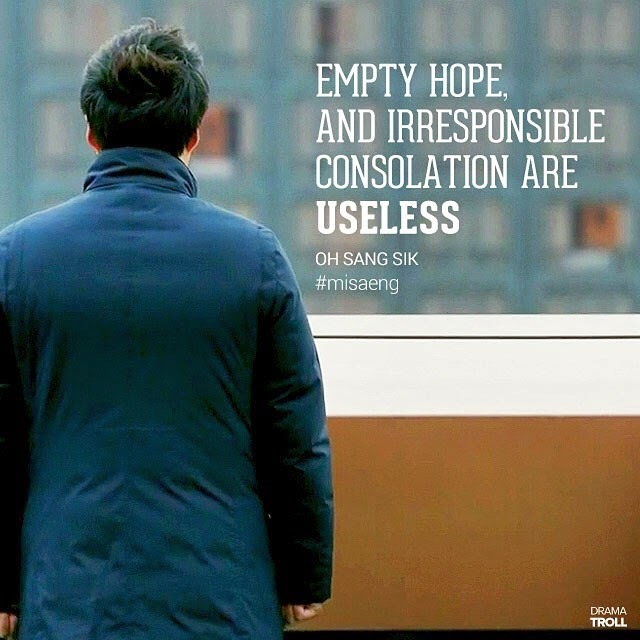 After all, Misaeng is Incomplete life and we are all incomplete lives trying to become complete. That's how Misaeng change my opinion about K-drama. endingnya mah gak usah ditanya lagi. Baru kali ini nonton K-drama yg endingnya gak bisa gw komplen. Masuk akal banget. Suka banget deh ama reviewnya :D. Baru selesai nonton misaeng juga nih, terus ada yang ngasi link ke posting ini. Paling suka sama Jang Geu Rae dan Oh Sang Shik :D hihihi. Hidup misaeng! Ya kan, Misaeng emang beda. OTP nya aja cowok-bapak gitu kan? Oh Sang Sik jadi pengganti figur bapak buat Geu Rae. Daebak banget gak sih endingnya? Suka..
Btw, tau postingan ini darimana? aduuh aku masih mengumpulkan keberaniaaan ini untuk melanjutkan misaeng. fighting!!! lahh kenapa? apa yang menakutkan dari Misaeng lia??? 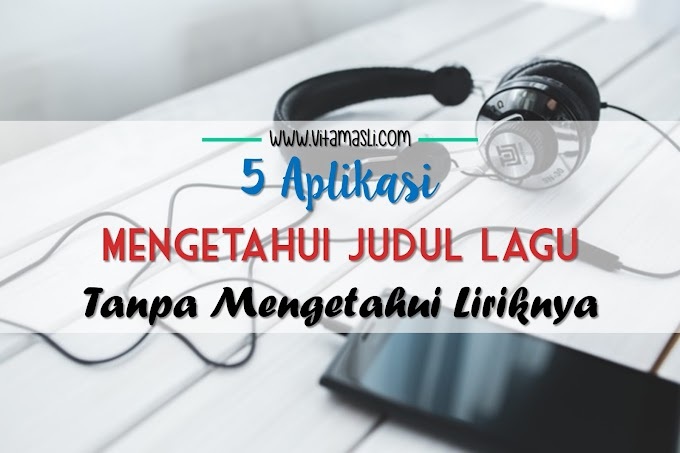 sorry gak baca semua tulisan ini karena takutnya Spoiler dan eggak asik lagi buat nonton. Selamat nonton ya! Kabar2in kalo sudah nonton..
Ilmiy itu gak ada di versi webtoon deh kayaknya. Itu bisa2nya writernim dramanya. Hebat ya? Sukaaaa banget. Mereka berempat mengingatkan Mr Oh ke masa2 dia sama manager Sun masih jadi anak baru. Emang sih jaman anak baru itu, semua juga kita kerjain bareng. Tapi begitu sudah dua tahun ke atas, apalagi kalau sudah dapat jabatan, sudah deh.. gue gue elo elo. Sama seperti kata gengnya Ma Daeri waktu Dong Sik daeri mabuk. Oh gitu yah? Ah jadi penasaran ama webtoon nya deh. Rencananya mau dibuat terjemahannya ke dalam bahasa Inggris. Mudah2an bisa beredar di Indonesia juga yah. Aku sempat ngusulin ke salah satu penerbit yg biasanya menerjemahkan novel/manhwa korea, mereka bilang masih pikir2 dulu. Mungkin malah beli lisensi ya.. kali. waah,, ni blog sincha,,sincha,, daebak !!! walaupun aq bisa di kategorikan sebagai manusia telat unt nnton ni drakor, tpi saya merasa masih sngat beruntung nemuin ni blog..
apa mungkin masih ada se sosok geu rae di indonesia? lebih kurang ny setelah nnton ni drakor, kita harus bisa bner2 bersyukur dng semua yg telah di peroleh pa lagi unt mendapatkan itu bner2 butuh kerja keras yg super ekstra!! 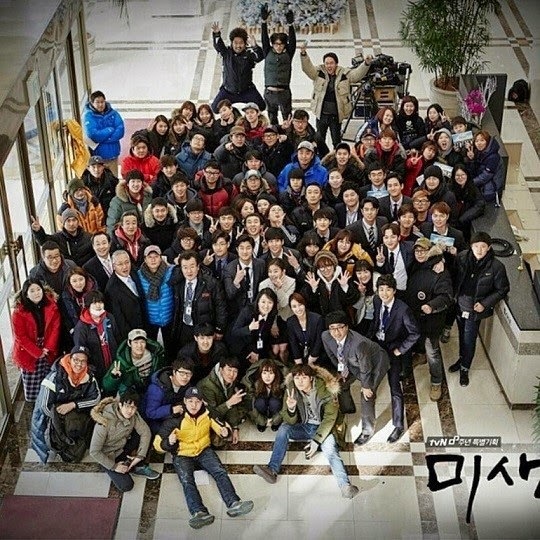 jng sia2in tu apa yg udah d dpet, belajar dari ni drama, semua PASTI ADA HIKMAH NYAAAA..
Itulah makanya kalau saya ditanya Kdrama yg bagus apa, saya selalu jawab Misaeng, Misaeng dan Misaeng. Mudah2an sih sequelnya bisa lebih baik atau tidak menyamai yang pertama. Kita tunggu aja ya..
Komentar pertama yang terlintas saat liat Misaeng adalah, "ya ampun, Jang Baek-ki ini ganteng banget". Aku baru sampai episode 2 dan paling penasaran dengan hubungan Geu Rae dan Executive Director Choi. 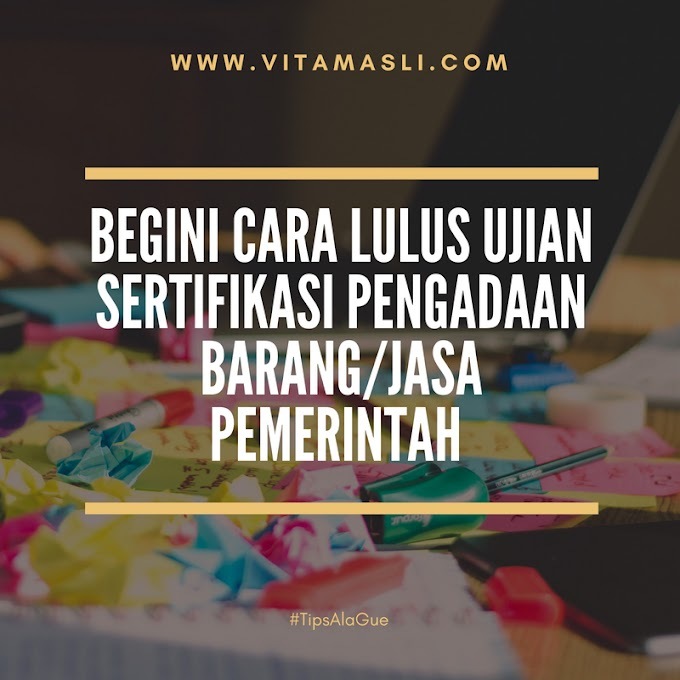 Dan "lega" baca review ini karena ga ada kisah cinta segitiganya. Hehehe. Serrrruuu.... banget nih drama. Paling suka endingnya. Twisted. Selamat nonton yah! Endingnya ituuu siss yg aku belum bisa paham. Kerja lagi sama mr. Oh?? ?